It’s not the 4th of July, but that doesn’t mean you shouldn’t witness some magic in the sky. 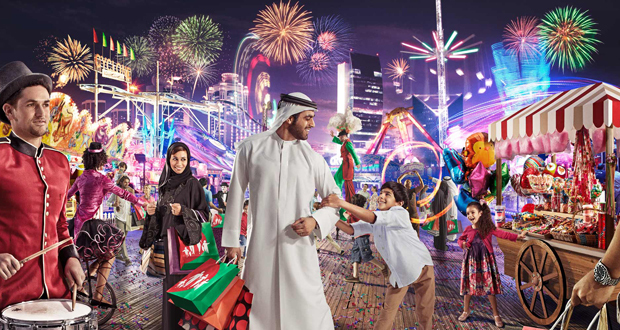 Check out the Musical Fireworks and Spectacular Laser Shows at Dubai Festival City Mall every night during Eid El Fitr from 8PMand have a blast…literally. Don’t miss the exquisite beach parties. Yeah, it’s a bit hot, but that doesn’t mean you can’t make it in the evening when the weather is cooler and lose yourself in the new summer song list worked by some of the best DJs in town. We suggest Nassimi Beach and Nikki Beach. Honestly, you can go to the mall at any freakin’ time. Not just in Eid, obviously. But hitting the malls during Eid is amazing as you see happy faces everywhere, and just good vibes. Enjoy with your friends and family some Arabic Folklore Dance Shows in Festival Square during Eid El Fitr from 3PM till midnight. The moment everybody has been waiting for; getting out their suppressed energy and going wild with the latest newest summer hits, and getting their drinking game on. Even if you don’t drink, it’s worth going to vent out with your friends. Well, this is actually my favorite thing to do in Eid. Who on Earth won’t enjoy a day at a resort or a spa; doing nothing but relaxing and enjoying the summer breeze. Most hotels in Dubai have Eid offers that you can take advantage of, and I don’t think you should miss such an opportunity. WE SAID THIS: Don’t miss out on Reel Cinemas Dubai Will Be Open 24 Hours During Eid.